A cooking blog to pay homage to the great Alton Brown by making Good Eats. I love to cook, and for a while now I’ve wanted to start a cooking blog, I just didn’t know exactly where to begin. 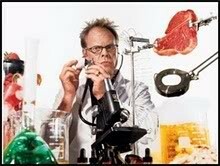 One day I decided I was going to watch every single Good Eats episode and go to the Alton Brown Cooking School to learn all I could from the culinary genius. I’m really excited to cook and definitely excited to eat 🙂 Join me on this virtual journey as I blog my way through (cue music) Good Eats! I also have another site, Sarahnspice.com, where I’m cooking Non-Good Eats foods. Check me out over there too! Wanna chat? I’d love to hear from you! Fill out the form below.